Gingerbread On The Move Messenger, Laptop Bag! This one is a “Must Have” for the Gingerbread lover or collector you know! From school, to carrying your laptop, to a hip alternative diaper bag, our versatile, spacious messenger bag is practically all you need to get you through every stage of your life – and look hip doing it. 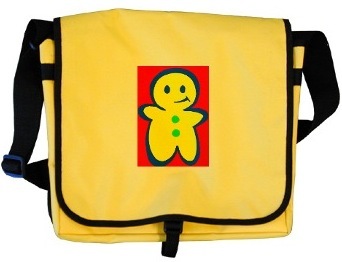 Gingerbread On The Move Messenger, Laptop Bag!